Welcome Optimus our October Multipurpose Joomla template. Weather you want to make a blog site or business site, Optimus fit for all. Multilayer parallax slider and vivid collection of presets gives you an unique experience. 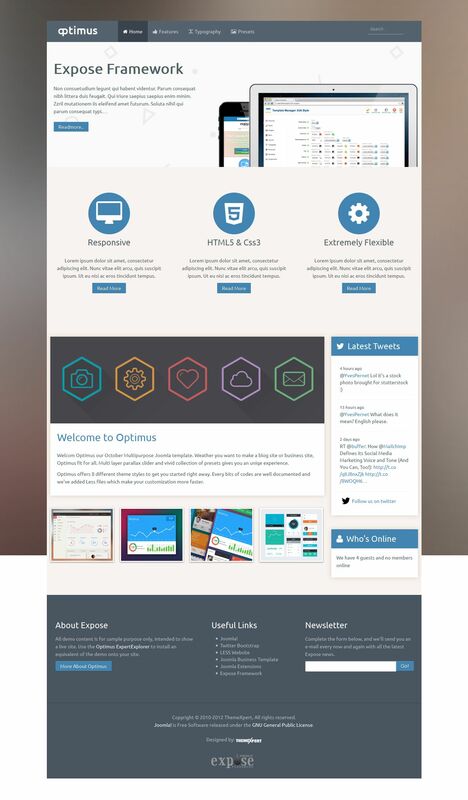 Optimus offers eight different theme styles to get you started right away. Every bits of codes are well documented and we've added Less files which make your customization more faster.